After receiving a degree in political science from Boston College and moving to Washington, D.C., Stacey Gibson quickly realized that politics wasn't going to be her life's work. She packed up and moved to New York City and started as a hostess at a restaurant in the Flatiron District. She loved learning more about food and wine and fell hard for the energy and pace of the restaurant floor. After managing the wine list at Momofuku Ma Peche, she moved on to Corkbuzz Wine Studio under the mentorship of Master Sommelier Laura Maniec. In 2013, she moved to Portland to start a family and be closer to the Willamette Valley. 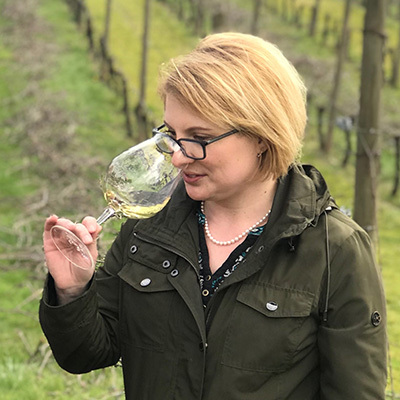 After managing several wine lists in the city, including for the Bruce Carey Restaurant Group and The Woodsman Tavern, Stacey is now a partner and general manager for the bar at Park Avenue Fine Wines. She and her husband also own a food and wine focused event business called Parallel Food & Drink. Stacey is an Advanced Sommelier through the Court of Master Sommeliers.